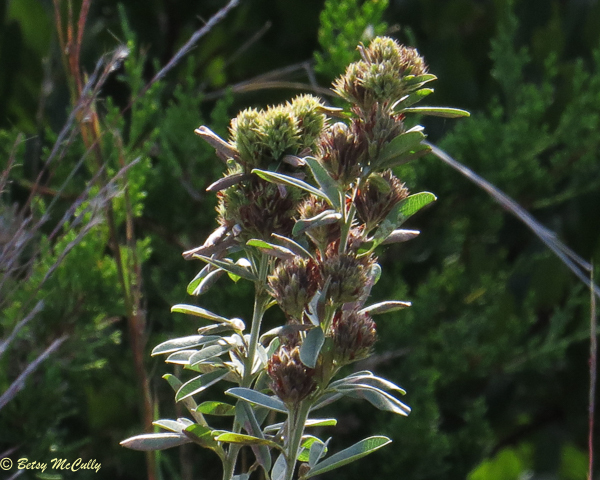 Round-headed Bush Clover (Lespedeza capitata). Fabaceae family. Sand dunes, open dry woods. Throughout. Napeague, Long Island, 2017. In seed.